My ITB started feeling funky both times about midway into both runs of about 4.2 miles. I thought after the first occurrence of this at Fox Valley, followed by 3 weeks of Sloth that it would be ok for the Chicago marathon. After the CM, I had an additional 2 weeks of no working out and craft beer drinking and bam! The ITB starts being funky again. Why would this start out of nowhere?? I'm trying to avoid buying a knee strap because I think I can do some exercises on my own to fix it. After every run I do the "Myrtl Routine" which I think is helping. My hips were sore Monday after my 2 weekend runs, so it has to be helping right? I ran 3 miles in 25 minutes on Tuesday to "push the pace" and see how my ankle and knee would react and the ITB started feeling tight around mile 2. BUT, it actually felt much better than last weekends runs. The ankle doesn't really hurt much anymore but still looks a little swollen (to me). I can't wait to go back out this weekend and enjoy the cooler temps on the trail again. 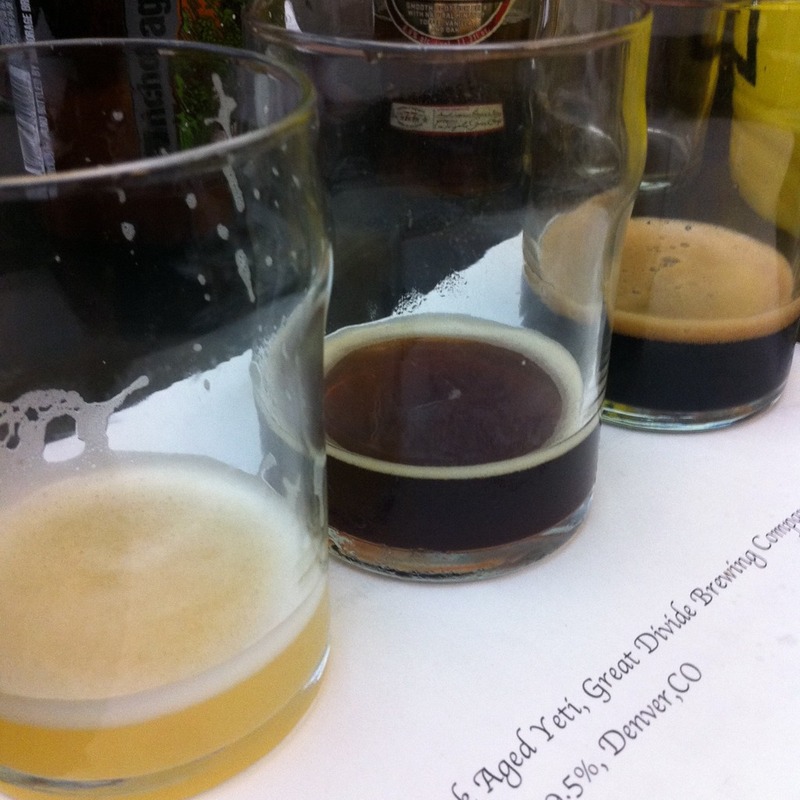 This Wednesday I went to Beer Academy at Goose Island brewery. They hold one academy each month and focus on a different style of beer- IPA, Stouts, etx. This month was "Barrel Aged Beers." 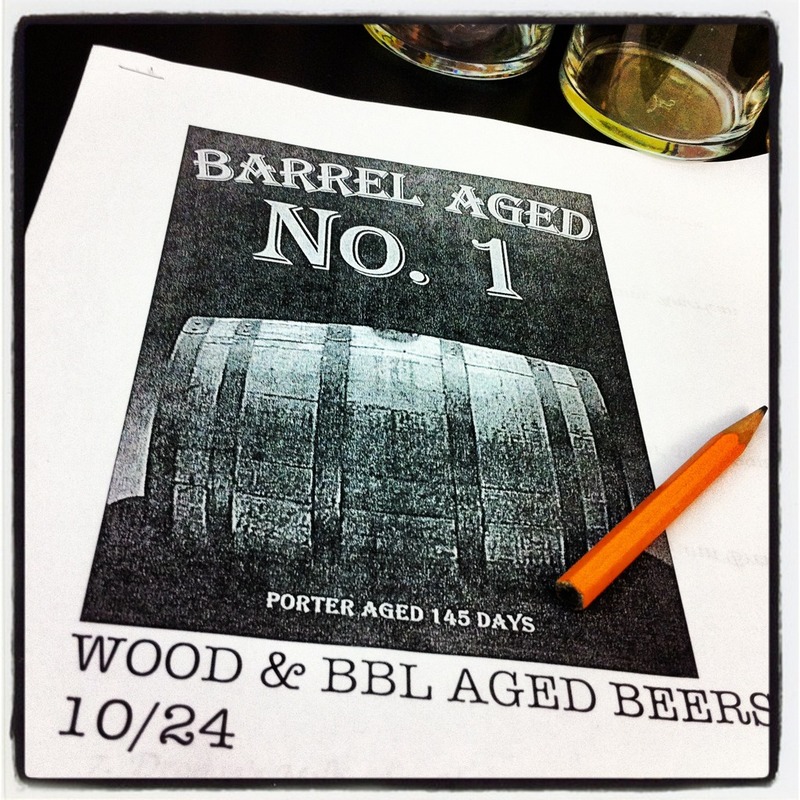 Barrel aged could mean Bourbon barrels, tequila barrels or even wine barrels, or just a wooden barrel. For $20, you get about 10 good sized samples of beer the Brewmaster has chosen for the event- I believe 3 were from Goose and the rest from other breweries. While sampling the beer, the brewmaster asks questions to us like "What does it smell like? ", "You are hosting a dinner party and serving this beer- what are you making for the main course, sides, dessert to pair with the beer?" and people yell out answers to contribute. Its a great event to get you thinking outside of the box concerning beer- its not just something to drink during football games. Beer can be paired with food and enjoyed like a fine wine. Plus, the brewmaster talks about how the beer is made- not like I'm going to start a home brewery but I can appreciate the beer more once I know the care and thought that's been put into it. Next months Academy is "Sour Beer"- which is the first academy I went to last year. I'm really hoping our schedule works out so we can go back and try out some beers we wouldn't necessarily try otherwise. I'm Xaarlin on Untappd if you want to follow what I'm drinking. I've done turkey trots for the past 5 years and want to continue the tradition of running on Thursday morning. For my Thursday morning fix I plan on registering for the Lifetime Turkey Day 5k I think this race took over the 8k that used to happen on turkey day. 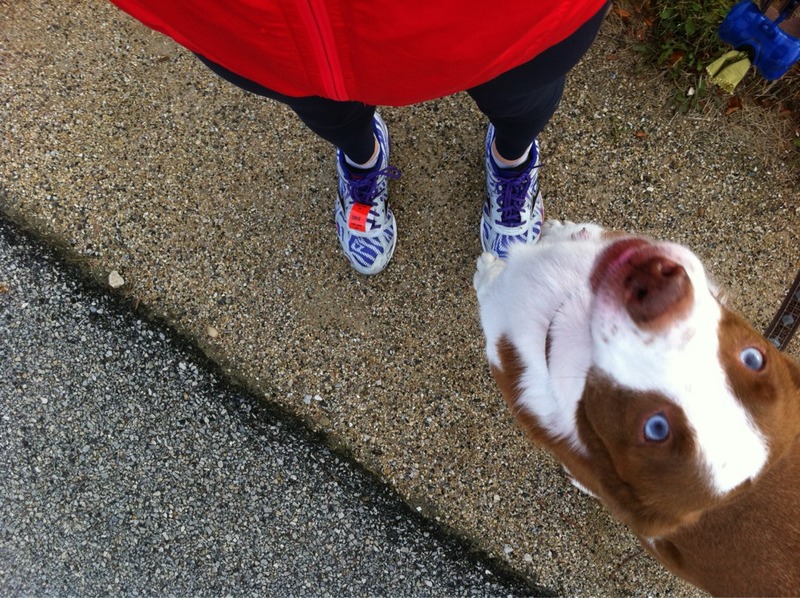 I think I'll also register for the Grant Park Turkey Trot on Saturday too. My BFF runner Tribu is coming to visit and we haven't run together since the awful Hip flexor explosion/ Miami Marathon from January of this year. 2 5ks in a few days isn't too much right? Have you had ITB trouble? Do you wear a strap? Or we're you able to over come it? 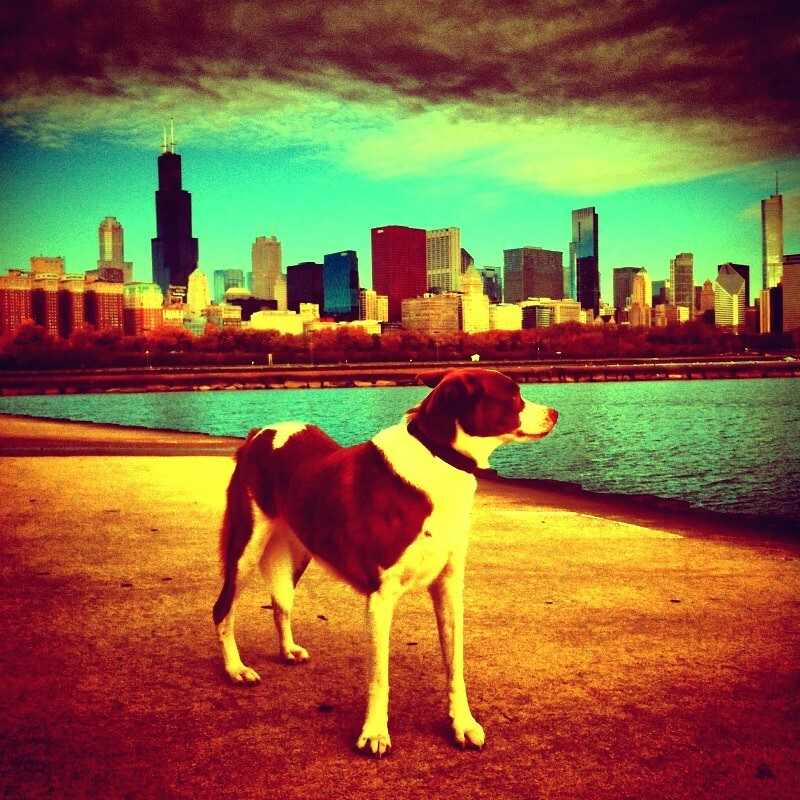 Great pics of Churro Dog and the Lakefront. Also, the beer thing looks awesome, I would definitely need to take a cab home from that one. I registered for the Lincolnwood Turkey Trot on the Sunday before Thanksgiving. It was only $15 with a Schwaggle deal. Also, I may run the Lifetime TD5k as well. I wish it was still an 8k, however. I had ITBS for 2 miserable years! I'm convinced the only thing that helped me was the passage of time. 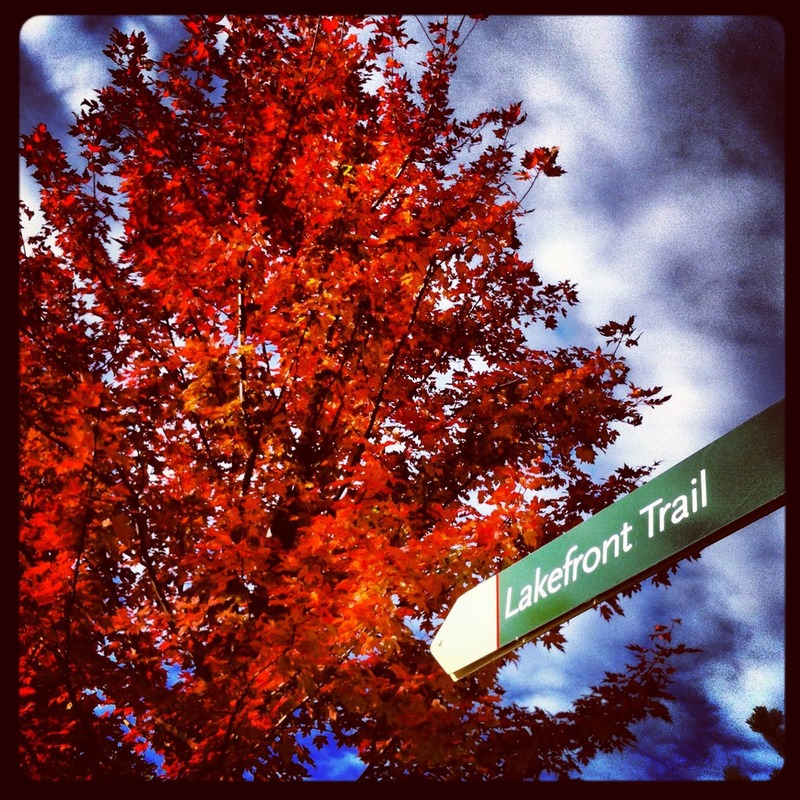 Great pics of Chicago, especially the red tree leaves! And your beer tasting event sounds awesome! Real bummer about ITB, I had it I think for maybe 6 months - I think I got it from not doing enough cross training, and my supporting muscles weren't strong enough. I'd say just to keep cross training and I bet it will go away over time. Recently I've started to experience some of the same symptoms, and I think it's because I haven't done much cross training at all recently. I need to get back to it. Yea, I see what you mean about house and senate - the house guy in our district is Mike Honda, who is probably the most liberal guy in the entire house. I vote against him every 2 years, but he wins every time. Annyoying! Great pics, loved this post. I too have IT band issues, which barrel all the way down to my knee. Right now, rest is key for me, and I hate every minute of it. That beer school sounds really cool! My brothers got me into craft beer a few years ago. They love visiting local breweries and picking up 6 packs of craft beers, and their influence rubbed off on me. For awhile I was really into belgian whites but lately I've been enjoying stouts and darker beers. I'll have to see if Goose Island offers any beer school for that! I'm signed up for the Beverly Turkey Trot on the south side the Saturday after Thanksgiving - they had a great deal on Schwaggle and with my Active Advantage membership, I was able to register for $12. There is also a 2.5mi race near me in the burbs on Thanksgiving day - if I end up not making any plans the night before and can get to bed early, I'm debating doing that. I'm curious about the shorter-than-5K distance. Hope that your body is just stiff and working out the kinks from the two marathons and all the weeks of laying low. Sometimes it takes awhile for the body to get back into it. 2 5ks in 3 days sounds a bit crazy, but hell why not? Thinking about registering for a 5k myself. Lakefront looks lovely, missing it like crazy right now. I just emailed you about the Turkey Trot! Ha! The lakefront was so gorgeous this week, and now, while it's still gorgeous, it is COLD! Ugh. Hope your ITB works itself out soon! Awesome pictures! I had IT band trouble a few months back. I bought a strap and it did help. I also did a hip strengthening routine and stretched a lot and after awhile it got better. I find it flairs up on my weaker left side so I try to do exercises to keep in balance. I am doing the Schaumburg Half on Nov 24th. 2 5ks in 3 days sounds fine to me but I am a bit crazy when it comes to doing races:). So sorry to hear about the IT band trouble. I've struggled with IT band issues on my left knee for a long time, and I wear Cho-Pat straps on both knees and am focusing on trying to stretch and strengthen my hips and glutes. What is this Myrtle routine you mentioned!?!?? That beer event sounds awesome! And how exciting that you are doing two Turkey Trots in one weekend!!! Adam and I are going to be Pittsburgh to spend Thanksgiving with his side of the family, so I'm running a 5-mile Turkey Trot in Pittsburgh on Thanksgiving Day! Awww, I just love that pup of yours. We still need to plan our dog park play date. Are they open in the winter? I hope your ITB is feeling better soon! I will be doing a local turkey trot by my house. You predict your time and run without a garmin. People that are closest to their guesses win (versus age group awards). It sounds like fun as I've never done a race like that before. The winners get turkeys! Yowzas! Chicago Marathon Part 1 of ?